Single side mLP w/ silk screen B side featuring original art from Mark Riddick. 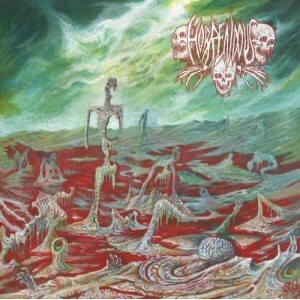 Horrendous took 2012 by surprise with their debut full-length, The Chills. 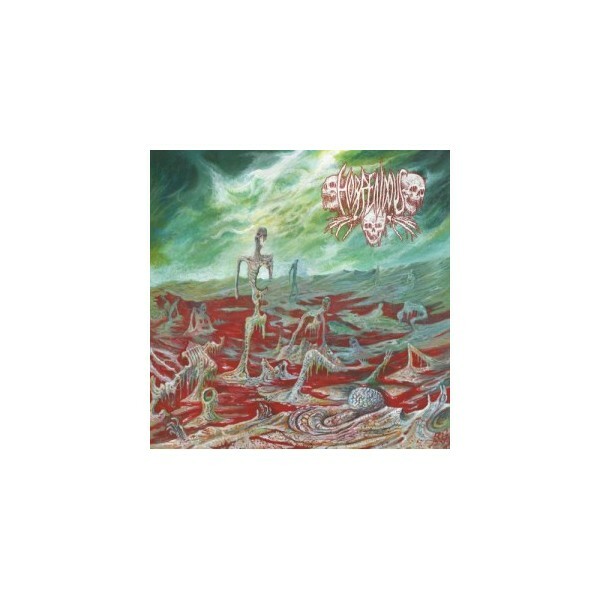 Prior to releasing unarguably one of the best albums of the year, Horrendous released the five song demo, Sweet Blasphemies in 2009. Originally released via homemade CDrs directly by the band and then two separate tape pressings by Dark Descent Records (and SPR), Sweet Blasphemies sees a proper LP release. All five original songs are included as well as a never released track from in between the Sweet Blasphemies recording and the recordings for The Chills. Six tracks, over 22 minutes of fury. Cover art by Raul Gonzalez. Additional art provided by Mark Riddick.